Ever since it was released in May 2016, the latest avatar of SharePoint has been making waves among users across the globe, for a plethora of useful features. While some, such as the MinRole farm topology and Project Server are clearly more suited for administrators, the platform nevertheless packs plenty of useful features for end users as well. Here are 3 of them that, we feel, deserve special attention. 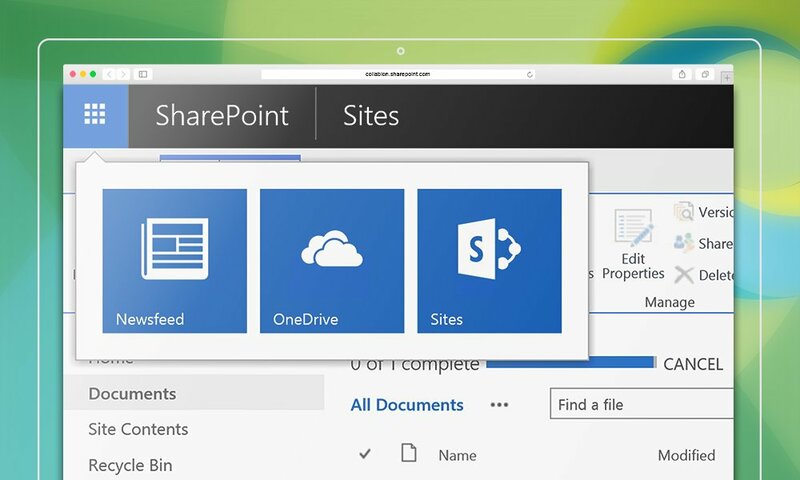 For end users in organizations that want to enjoy the benefits of the cloud without sacrificing the rock solid security measures offered by the on premise installations of SharePoint (which basically covers close to 99% organizations, we believe), the app launcher is a fantastic new addition to SharePoint. From OneDrive to Office 365 applications and from Delve to Exchange Online, users can launch pretty much anything they need with just a click. While the app is actually a part of Office 365, it allows users to launch SharePoint as well, effectively bridging on premise installations with cloud components. There can be no doubt that SharePoint search is one of the most powerful features offered by the platform. Now with hybrid search, this feature has pretty much received a steroid shot. Simply put, hybrid search sports a new architecture designed to allow SharePoint to crawl content stored on premise and store it as part of the search index of Office 365. Apart from this, with any other external content that the users might access for their everyday work, such as shared files and documents or media created/shared using third party apps. All of this content is accessible via a single, unified index, making SharePoint search way more extensive than it has ever been before. Till SharePoint 2013, Microsoft did not have a dedicated mobile app or offer support for responsive design, making mobile experience for users sketchy at best. However, SharePoint 2016 has a feature-rich mobile app developed for iOS, with Android and Windows Universal versions in the pipeline. Like most Microsoft products, the app is a breeze to use, and allows the user to quickly switch between accounts, view/share documents, and view what their colleagues in the same SharePoint groups as them are working on, as well as which team members they are collaborating with. The support for responsive design ensures that users can expect pretty much the same experience when using on premise and mobile versions with respect to the features supported by the latter, although admins would need to build a master page and associated CSS files to ensure that everything works fine. All in all, SharePoint 2016 brings a plethora of features that make it just as desirable to end users as to administrators. Combining the stability and security of on premise installation with the sheer flexibility of the cloud, SP 2016 is, beyond doubt, the best version of SharePoint launched till date.